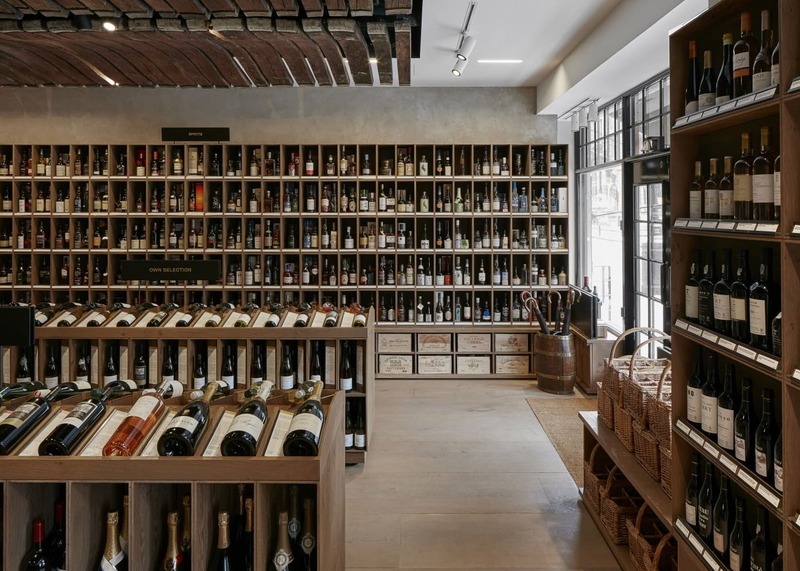 Berry Bros. & Rudd do not just win awards for their exquisite wines and spirits; they have also revolutionised wine retail with their newly opened shop in London. Berry Bros. & Rudd is one of Britain’s oldest companies and certainly its oldest wine and spirits merchant, founded in 1698. The company holds two Royal Warrants; from H.M. The Queen and H.R.H. The Prince of Wales. 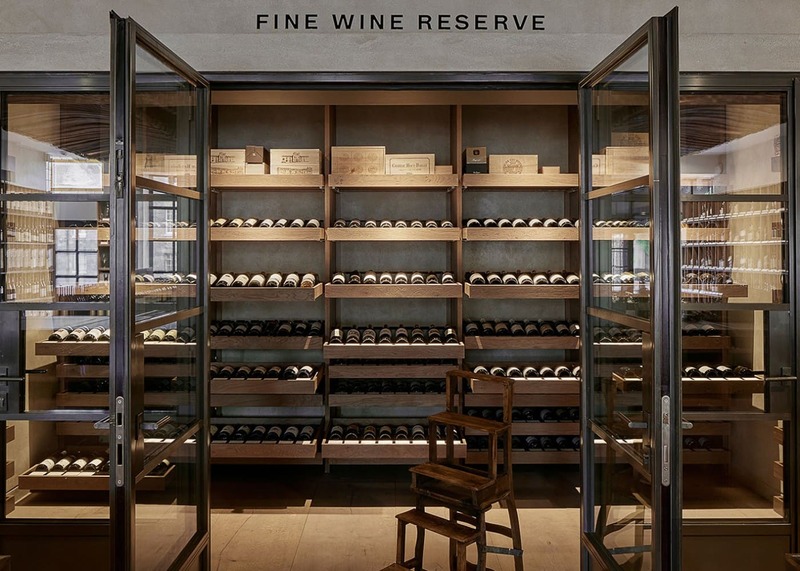 Their new 63 Pall Mall wine shop, just around the corner from its historic birthplace, follows traditional values of personal service and preservation of wine quality, while infusing the space with modern wine shop elements. Consequently, the new shop gives BB&R the opportunity to show their customers what it means to be served by the best, in a breathtaking environment. Firstly, the familiar sound of the traditional metal doorbell welcomes customers into the shop. From here custom-made wall shelving, housing wines from all over the world, draws the customer into the shop. Evenly lit by linear recessed wallwashers, all labels have excellent readability within the low light levels. Kept deliberately low, the light levels help to preserve the wine and create a comfortable ambience. 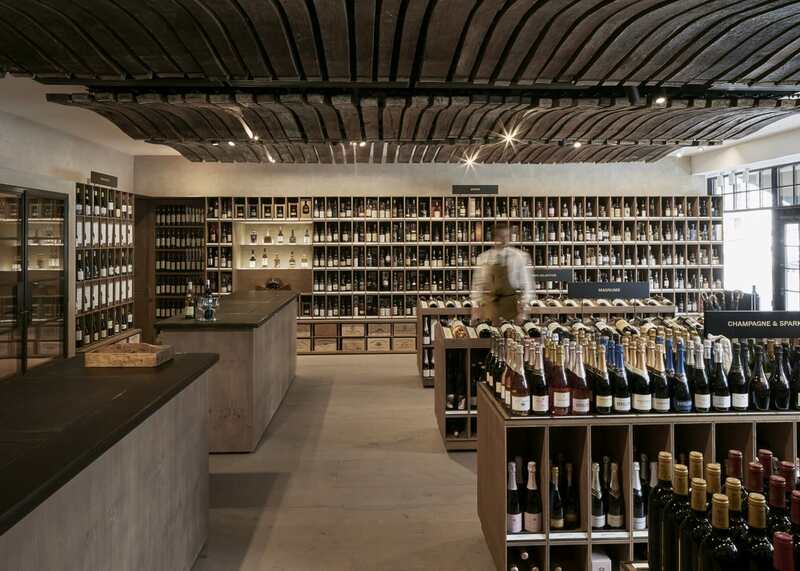 The wooden ceiling is a highlight of the store, reminding customers of the origins of their favourite drink. 100-year-old barrels, imported from France, form the stunning ceiling structure. Enhanced with miniature spotlights, the lighting creates a magical scene at night, while leaving the ancient wood undisturbed. Black spotlights with honeycomb louvers, discreetly mounted between the wooden ceiling fields, highlight the mid-floor aisles below. These were carefully specified and detailed into the ceiling architecture so as to create beautiful light without glare. Located in one corner are the precious gold sparkling Whiskeys. Lit by a crystal clear backlit glass shelf in 4000K and a warmer frontal light from the wallwashers, so each bottle glows. 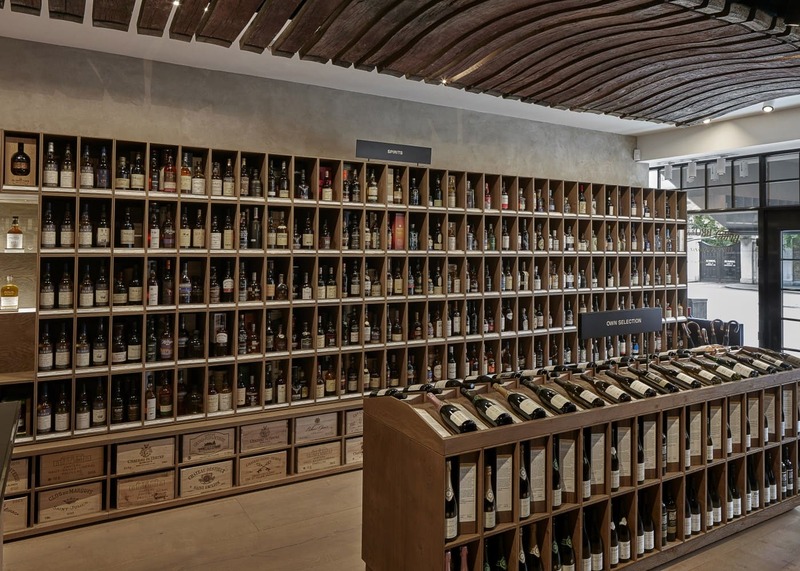 On the opposite wall are three Enomatic machines, offering a range of 24 different wines to taste and enjoy in the shop adding another layer to the the experience. 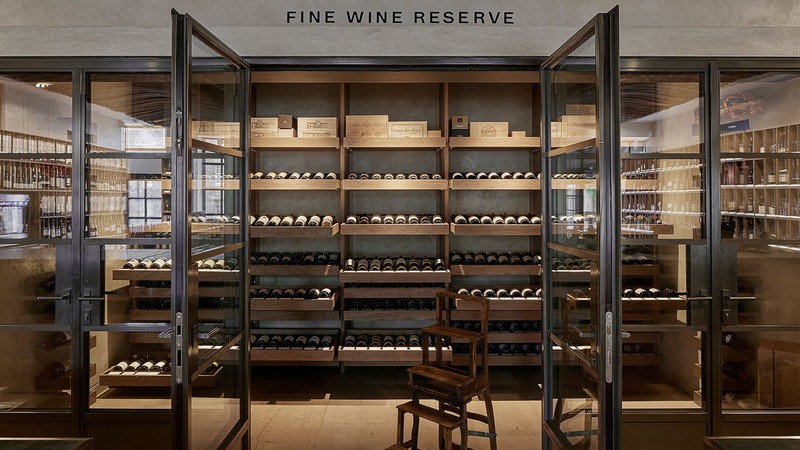 Another highlight is the chilled fine wine reserve with interactive custom display drawers. Each drawer activates a tiny ceiling recessed downlight placed directly above. When a drawer is opened, the light level above that particular unit increases subtly and decreases when the drawer is closed. With dimmable light throughout, it was possible to create scenes ranging from a daytime atmosphere to a calmer evening mode. Staff can override the automation to create a dramatic event atmosphere or a low-level night scene. 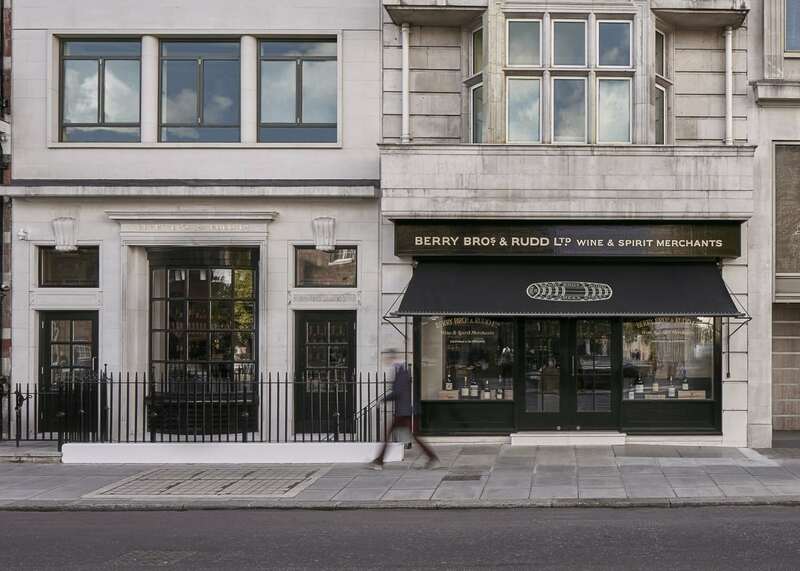 An asymmetric line of light, concealed by the awning showing Berry Bros. & Rudd’s golden barrel, grazes light along the front of the shop and provides a bright threshold for customers.